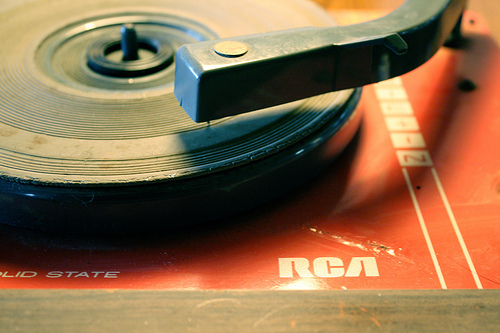 Home > Articles > Favourite Songs – Can You Remember? Favourite Songs – Can You Remember? You might be one of those people who doesn’t remember the names of songs or artists very well. But no matter how good your memory is, I’d defy you to recall all your favourites from over the years. Sure, when you hear them played, the memories will come flooding back – ‘the good old days’ – and you’ll be there swaying and singing along. But if you had to write down your Top 20 right now, you’d be surprised just how difficult it will be. Why not give it a go? Let me know how you get on. No matter how good your product or your service, if your customer is not regularly reminded, they will gradually forget about you. You might be the best in your field but if they don’t see something to prompt them – an advert, an email, driving by etc – you will slowly but surely fade from their mind. So what are you doing to keep them remembering? Or do you seriously believe that your great product, fantastic service or tremendous value will keep them coming back? There are so many ways that you can give your business the ‘airplay’ it needs. And none of it need cost you a fortune. You can be emailing them monthly, letting them know what’s going on – interested or not, in that particular promotion, you can be sure your name will be kept in their mind. Better still, you can be active on Facebook or Twitter, gently reminding them daily that you’re there and ready to repeat the same great service they’ve had before. So if you’re not doing it already, get emailing them regularly, register on Facebook and get some status’ out there and get tweeting on Twitter! Do it right and it’ll be music to your ears. PS. If your singing is a little out of tune and you need any help with any of this, just ask us for a dance. Social Media Networks are Free. Your time isn’t. Confidential, Protected and Secure. Oh really?